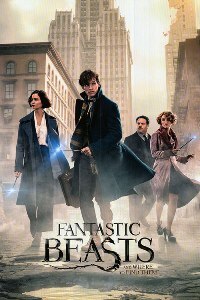 A wizard arrives in 1920's New York with a magic case full of fantastic beasts, but when one escapes he gets drawn into a battle between American wizards over a dark power. This film is set in the Harry Potter world, but long before his time. Compared to those films this is disappointing, as it is full of CGI and effects, but is short on character development, which was one of the strengths of the orriginal books. Eddie Redmayne is OK in the lead role, but Katherine Waterston's character is to bland as a faoil for him and it is Alison Sudol in a more supporting role who is the strongest character.